Just like Waiting for Godot's existential double act Vladimir and Estragon, Samuel Beckett waited a long time to be fully embraced into the metaphorical kirk of Edinburgh's International Festival. For an artist whose sense of exile and outsiderdom has his detractors as much as his champions, perhaps it should come as no surprise that Beckett's theatre work has largely been seen on the Fringe, where even then, it has felt hidden away in back-street venues. 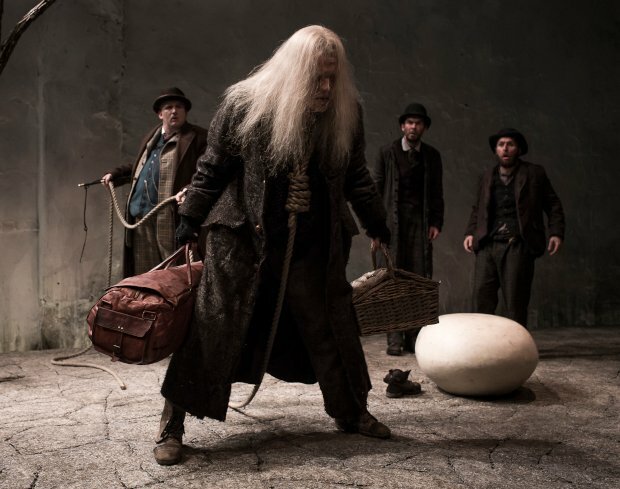 The appearance of Druid Theatre's internationally acclaimed production of Waiting for Godot at this year's Edinburgh International Festival, then, suggests that Beckett's work has at last come out of the wilderness. This has been brewing for a few years now by way of a series of productions under former International Festival director Jonathan Mills' tenure. Since the baton was passed to Fergus Linehan, however, the links feel umbilical. Growing up in Dublin with an actress mother and arts journalist father, Beckett's shadow loomed large. While Linehan's mother Rosaleen appeared buried up to her neck in sand as Winnie in Happy Days both on stage and screen, his father's encounters with Beckett were more random affairs. The earliest sightings of Beckett's work at the International Festival was in 1984, when a ten-day mini-Beckett festival featured New York's Harold Clurman Theatre in residence at the Church Hill Theatre with a triple bill of Ohio Impromptu, Catastrophe and What Where. Another double bill by the New York group featured performances of A Piece of Monologue and That Time. Also at Church Hill, and in portents of things to come, seminal comic actor Max Wall (who had appeared in Waiting for Godot in 1979 and Krapp's Last Tape in 1984) performed Malone Dies. Beckett's trilogy of novels, Molloy, Malone Dies and The Unnameable, would be adapted and performed on the Fringe in 1986 by Barry McGovern under the title of I'll Go On. Twenty-seven years later, McGovern would revive this solo tour de force for the International Festival as part of the most extensive Beckett season since 1984. The groundwork had been done in 2012, when McGovern performed the Gate Theatre's staging of Beckett's 1953 novel, Watt. With the interior monologues of his prose inviting themselves to be spoken out loud, the 2013 season focused, not on Beckett's stage plays, but on renderings of prose by way of I'll Go On and Peter Egan's performance of a short story, 'First Love', plus rarely seen and heard TV and radio works. A wordless Michael Gambon appeared in Eh Joe, haunted by Penelope Wilton's disembodied voice in a piece first broadcast on German TV and on the BBC in 1966, and here brought to semi-cinematic life by Canadian film director Atom Egoyan. Another Dublin company, Pan Pan, gave audacious stagings of Embers and All That Fall, radio plays dating from the late 50s which can now be recognised as early examples of sound art. In Pan Pan's renderings, they became closer to immersive installations than pure theatre (it should be noted that the original broadcast of All That Fall led directly to the setting up of BBC Radiophonic Workshop). As well as the five productions, the Edinburgh International Festival also hosted screenings of Beckett on Film, an epic exercise featuring all 19 of the writer's dramatic works filmed utilising an array of maverick directors and performers. This included a production of Waiting for Godot featuring McGovern, David Mamet directing Harold Pinter, Rebecca Pidgeon and John Gielgud in Catastrophe, and Breath directed by visual art provocateur Damien Hirst. Beckett on Film was initiated and co-produced by Michael Colgan, the former artistic director of the Gate who had previously produced Beckett's entire dramatic canon onstage in Dublin in 1991. This was restaged in New York in 1996, and then in London three years later. The Edinburgh screenings of Beckett on Film was a neat sleight of hand that gave audiences a chance to see a wider spectrum of work than might normally be possible. Last year, McGovern returned to Edinburgh to perform Krapp's Last Tape, Beckett's tragi-comic rummage through an old man's audio diary. Druid's presentation this year of Waiting for Godot has been a long time coming. One of the earliest Edinburgh sightings of Godot was on the Fringe in 1967 at the Traverse, then in its Grassmarket home, when Gordon McDougall directed John Sheddon and a young Richard Wilson as Didi and Gogo. Half a century later, it seems, the waiting has finally stopped. 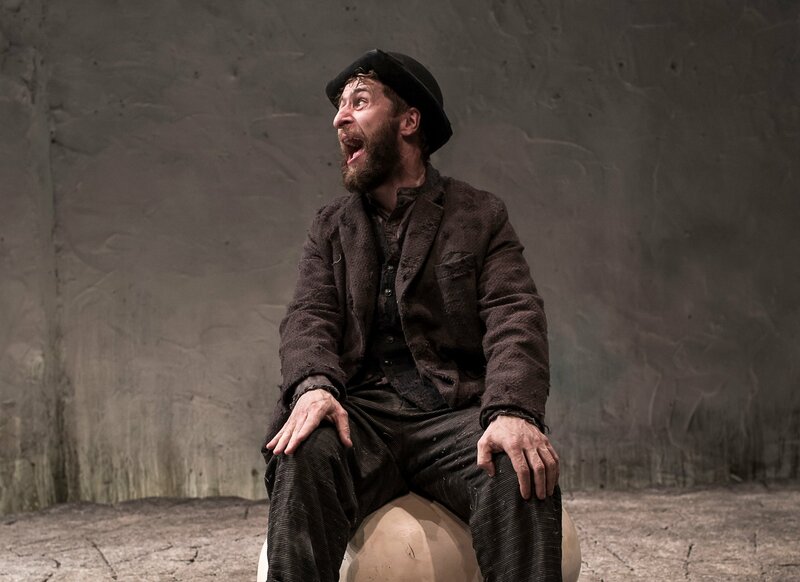 One of the most iconic and significant plays of the 20th century, Samuel Beckett’s* Waiting for Godot *is also one of his funniest, most immediate creations. Drawing endless interpretations, it crackles with deadpan wit and linguistic invention, as well as offering compelling glimpses into our existential absurdity.